Following Take-Two's recent jump in share value, Nollenberger Capital Parnters analyst Todd Greenwald has said that BioShock is "not the next GTA," and has expressed concern about investors getting "carried away." While some industry analysts have said the strong release and anticipated continued success of BioShock could indicate a reversal of Take-Two's battered fortunes, Greenwald is suggesting expectations may be too high, both for the game and for Take-Two. "While many initially expected BioShock to be a modest hit and sell 500,000 to 1 million units, it now seems clear to us that it may sell in the 1.5 - 2 million unit range," he said. "However, with the stock up over 20 percent in the last few days, we have heard of expectations in the 3-4 million range, which we believe are unrealistic." "Keep in mind that BioShock is only being release on one console platform (the Xbox 360), and will likely be limited by its intense, hard-core, first-person-shooter style of game," he added. "The game is very dark, very complex and will have a hard time penetrating the mass market, in our view." Comparing BioShock to the similarly-dark-and-intense FPS Gears of War, which has reached over 3 million in sales, Greenwald said it is unlikely to reach that level of success, saying Gears of War "was a more accessible game, had more marketing support and was released in the holiday window." BioShock will also run up against the mammoth release of the much-hyped Halo 3, which is being released September 25. Greenwald indicated his belief that buyout rumors swirling around Take-Two are also partly responsible for the rise in the company's value, although nothing is likely to happen in the next three to six months. "Take-Two continues to be mired in legal and regulatory matters, and likely needs to settle these and show more evidence of stability before an acquisition can materialize. 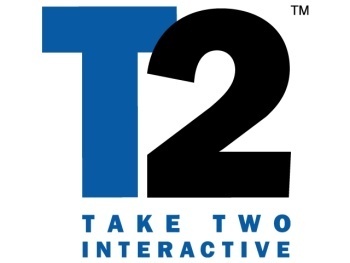 We also believe that new management at Take-Two would prefer to first clean up the company and bring GTA IV to market before it would start entertaining takeout bids," he said.